Sponsors Totally Reward, Jesters Snooker Hall, Swindon and the West of England Billiards & Snooker Foundation (WEBSF) facilitated a day packed with Billiards & Snooker activities and entertainment. The main event was the WEBSF Bronze Snooker Open Championship; Connor Benzey from Eastleigh, Hampshire came through a field of talented under-17’s to lift the coveted trophy. Last year Benzey narrowly missed out on qualification into the knock-out stage but after a year of practice he came back to dominated the tournament. He won group A, winning all his matches without dropping a frame, making breaks of 31,46,50 & 59. In the knock-out stage he continued his good form making a 49 break in the quarters, the only resistance coming from Mickey Joyce (Basingstoke, Hampshire) in the semi -final. Joyce posted a 46 break and took Benzey to a deciding frame. However, breaks of 37 & 77 saw Benzey win through to the final where he would later meet Aidan Murphy from Bristol. Benzey’s 77 break was the best break on the day which secured the high break prize. Murphy’s path to the final began with runner-up spot in the same group as Benzey, Murphy recording breaks of 35 & 54. In the quarters he came up against last season’s champion, Liam Davies from Merthyr Tydfil, Wales. This was a repeat match of last year’s final and it took a deciding frame, won by Murphy, to separate them. Suffering from a cold Davies almost didn’t turn up for the event but he felt a strong desire to defend his title. Both players are extremely talented and will no doubt compete against one another many times on their career journeys. Boosted by his quarter final win, Murphy knocked in two fifty-plus breaks against Ben Freeman (Plymouth) in the semi-final, wining him a play-off against Benzey. The final produced high level snooker but it was Benzey, playing with an air of confidence and constructing breaks of 34 & 64, that lifted the trophy and title of WEBSF Bronze Snooker Open Champion 2017. Benzey is sponsored by GH Property services, Pitman Training & Hillcrest Structural. Other breaks of note in the tournament came from Davies 47 and Jack Ratcliffe (Swindon) 43. The Plate tournament for the non-qualifiers was won by Raphael Rowland who edged out Jack Ratcliffe, both from Swindon. In addition to the customary trophies and prize money the tournament sponsor, Totally Reward, presented all the players with Tee Shirts including the WEBSF and sponsors logos, Cue Towels, WEBSF Badges and the event flyer, signed by Professional Sam Baird. Roving referee for the day was WEBSF Ambassador and qualified EASB Referee, Chris Coumbe. In conjunction with the tournament the WEBSF held a number of Billiards & Snooker Coaching activities. World ranked number 53 Snooker Professional Sam Baird and former Professional Player, Manager & Snooker Coach, Hassan Vaizie along with a number of WEBSF Volunteer Coaches and Officials were in attendance. All volunteered their time free to encourage more people to learn the sport, a number of people dropped in on the day to take advantage of this free coaching and advice. Sam Baird also played several frames against all-comers whilst Hassan Vaizie carried out a number of coaching clinics as did the WEBSF Coaches. Half-way through the tournament, play was suspended whilst both guests were subjected to a questions by those in attendance. During this informative session both passed on their knowledge and experiences, rising up through the amateur ranks to competing in the World Professional Championships at the Crucible. Also what it is like to play against multi World Champions: Ronnie O’Sullivan, John Higgins, Stephen Hendry, Steve Davis and other top professionals. A Billiards & Snooker related quiz and a Trick Shot Challenge Competition took place throughout the day which was won by Jason Carrick and Ben Freeman (Plymouth) respectively, some of the proceeds raised money for good causes. WEBSF Tournament Director Wayne Branton said “It has been a long term aspiration of the WEBSF Management Team to combine a tournament with other Billiards & Snooker related activities, providing a Billiards & Snooker experience and encouraging more people to take up the sport. Judging by the feedback we have received today, the event has been very well received and several people participated in addition to the tournament players. With regard to the tournament, Connor Benzey’s victory is an example of what progress can be achieved through regular practice, in fact several players that played in this tournament last season have shown improvement here today.” Details of this and other WEBSF tournaments and events can be found on http://www.websfsnooker.com, WEBSF Facebook Group or by contacting Steve Canniford, Mobile 07891940995. 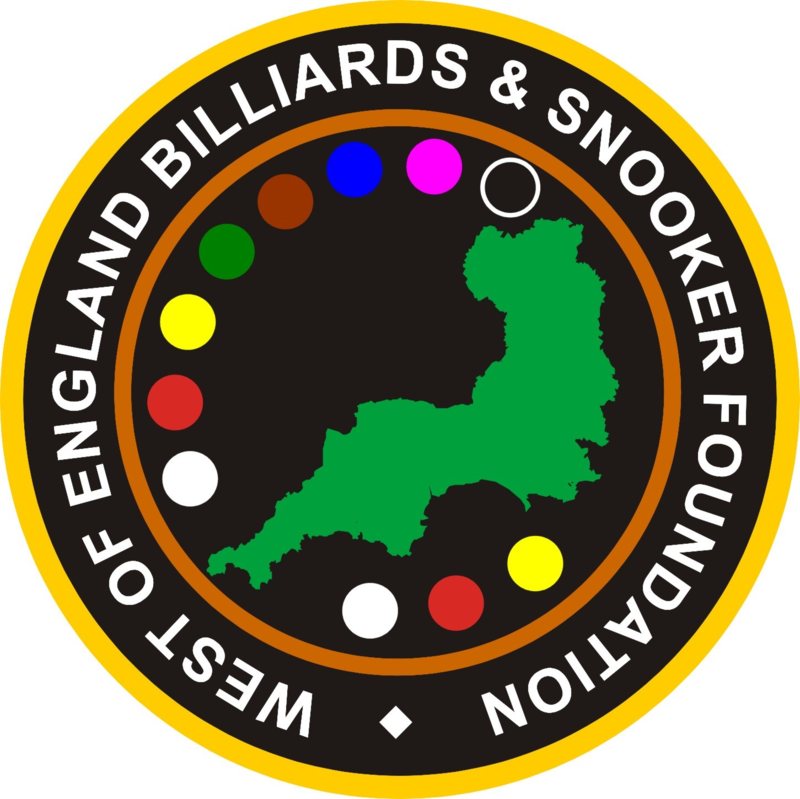 Any player interested in entering WEBSF events or potential volunteers willing to get involved with the work of the WEBSF they should contact Steve Canniford, Mobile 07891940995 or visit http://www.websfsnooker.com or WEBSF Facebook. Thanks to Jesters Snooker Hall, Swindon who hosted this event.